Have you been curious about the new energies coming to Earth? Have you been seeking ways to take advantage of these energies, and incorporate them more fully into your life? Through "Your Source Within" we are reminded that we have all the power of the Universe right within ourselves at all times. We learn that by utilizing this unlimited source of potential, we can transform any area of our lives, whether it be finances, relationships, health, or finding greater peace within. 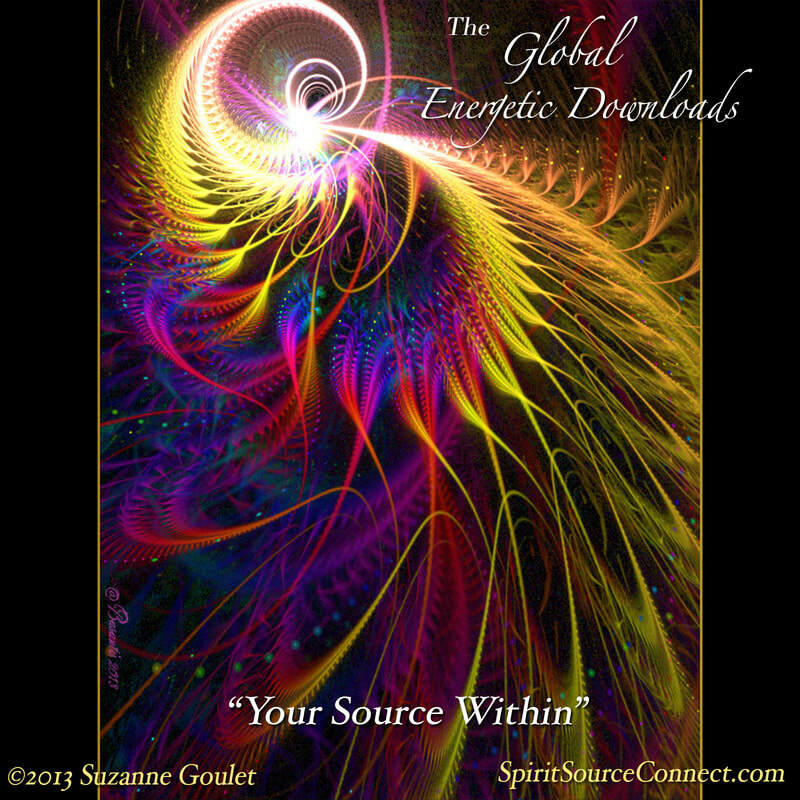 The Live Global Energetic Downloads are monthly events available for you to participate in free of charge. 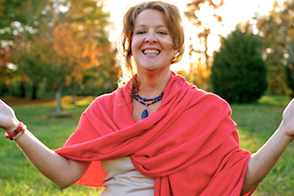 If the material resonates with you, you are also invited to the 24-hour complimentary replay. Much of this material we are receiving in the Energetic Downloads is offering us new solutions and new ways of thinking. More importantly, it is giving us an energetic transfer whereby we are able to receive and transmute any energetic components within ourselves that no longer serve for our highest good. "Your Source Within" guides you through understanding that within the very cells of your body, and in your brain, lies a great Light teeming and pulsating with all the energies of the Universe. By learning how to access and integrate this Light, you can transform any area of your life you so desire. "Whether science has caught up with this fact or not, we are imparting to you now this very basic knowledge that a bright, glowing light always rests and excites and teems with energy at the very core system of your brain." We are shown that although we may have imposed blocks within our bodies, or in our minds, we always have the power of intent to dissolve these barriers. "We are here to impart to you, my friends, that with your own clear intentions you may remove, heal, or dissolve any blockages that you may have unwittingly imposed upon yourself, so that the energetic flow of the Universe, of the All-That-Is, that Love-Light, that is always so clear, may simply fall into the various areas of your life you so wish to grow." 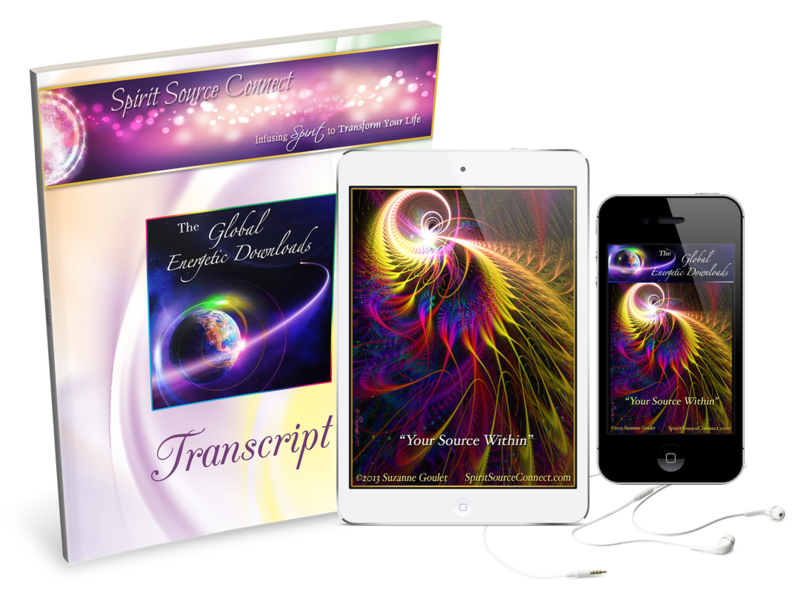 By taking the journeys present in this transformational audio, you are able to expand and transform any area of your life you choose. Every listener has a completely different experience. Some, like Janice, are here for the first time, never having experienced this before. Others have been part of our ongoing group for a long time. "I just really enjoyed this place that I went to, and the deep breathing and the quietness was just like being in a cocoon, and the hearing messages, and your voice, was just very nice. I did transport somewhere." "It was very clear. Thank you. Lots and lots of information. It will take a while to digest. There was just a lot of detail. It was very nice." I recieved this email immediately afterwards from Nanditha, who has been listening these downloads since 2009. I have seen her life transform in multiple ways since she first began participating. "The July download brought some great insights to me into my own patterns. I realised only now that I have a deep-seated pattern of attracting hardship into my life. My family has many stories of women who had to overcome tremendous hardship in order to break through to the other side. I must have this deeply ingrained in my consciousness too. Now that it has surfaced into my awareness, I can let go of it. Thanks for the spectacular download." "After I listened to the most recent download, [I realized] once again it is a happier and healthier way to be in the world if we are listening to our inner spiritual guidance and loving light—rather than exerting energy trying to fix the world and other people." This energetic download is tremendously energetic and enlivening! A truly transformative experience. I am so grateful to all those who showed up live for the call, and to those of you who listen to the replay, I'd love to hear your reactions as well. Feel free to email me HERE with your comments! With your purchase of "Your Source Within," you gain immediate access to .mp3 audio files, have a CD mailed to your address, and receive a beautiful, printed transcript of the enlightening guidance as well. Many have kept these transcripts to read and reread over and over, providing them with reminders, inspiration, and upliftment. If you're not yet signed up to receive notices on the next monthly event, please fill out the form here, and you'll be informed. Looking forward to having you! "Your downloads have been a tremendous inspiration to me and a reminder of the fact that I am loved, protected and provided for. It has made me even more sure of my path as a healer. And I have felt enveloped by healing energies through your downloads. That is why I love them so much. They are also giving me the courage to take the first steps in setting up my practice—I pray that I am guided along my path.